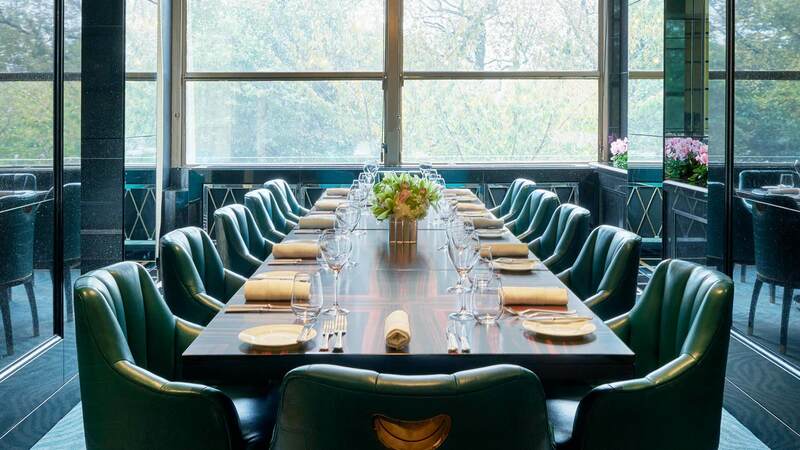 The Private Dining Room at Kaspar’s at The Savoy hosts up to 14 guests in an elegant room located just off the restaurant, with views of the River Thames. Whilst the room is technically semi-private, this exclusive space in the heart of London offers great privacy as it has a small doorway with limited visibility from the restaurant. Groups from 11 guests can enjoy one of our 5-course set private dining menus. 5-course set menu, featuring dishes such as British Isle Cod and Spiced Plum Pot. 5-course set menu, featuring dishes such as Guinea Fowl Supreme and Oreleys Chocolate. 5-course set menu, featuring dishes such as Westmorland Lobster Linguine and Caramelised Apple Tarte tatin. 5-course set menu, featuring dishes such as Best of the Seas and Warm Pear Clafoutis. Private River cruise with Wood's Silver Fleet and dinner at The Savoy. Spend one hour or 90 minutes exploring the River Thames and London's best known landmarks with exclusive use of the Silver Darling, and enjoy a delicious dinner in Kaspar’s Private Dining Room. Max 12 guests. To find out more or to book Kaspar’s at The Savoy private dining room, please call +44 (0) 20 7420 2111 or send us an email.